Calling all Motown fans! Don’t miss the spectacular new touring show “Motown Gold”. Direct from Canada’s premier producer of musical tribute shows Bill Culp Productions, “Motown Gold” celebrates the incredible songs and stories of the legendary record label from Detroit that launched the careers of The Temptations, Diana Ross and the Supremes, Stevie Wonder, Marvin Gaye, The Four Tops, Smokey Robinson and more. 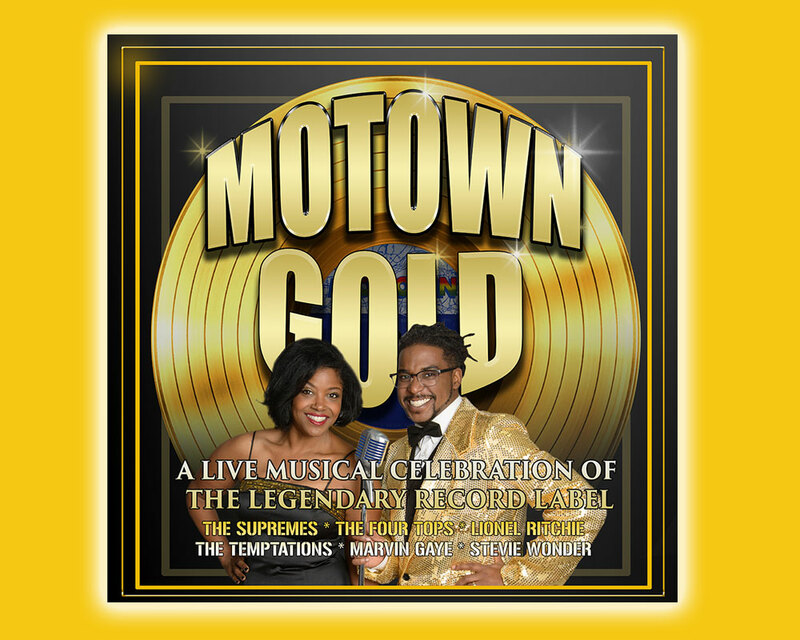 “Motown Gold” features outstanding live musical performances starring soulful lead vocalists Justin Bacchus and Shelley Hamilton, backed by the renowned Rudy & The Angels band. This audience-interactive show will have the crowd singing along, clapping their hands in rhythm and even getting up to dance to the infectious Motown groove. Song highlights include “My Girl”, “Stop! In the Name of Love”, “Heatwave”, Signed, Sealed, Delivered”, “I Heard It Through the Grapevine”, “I Can’t Help Myself”, “ABC”, “You Can’t Hurry Love”, “Ain’t No Mountain High Enough” and even includes the amazing duet “Endless Love”.